I have lots of irons in the fire and little pieces showing up in magazines here and there. 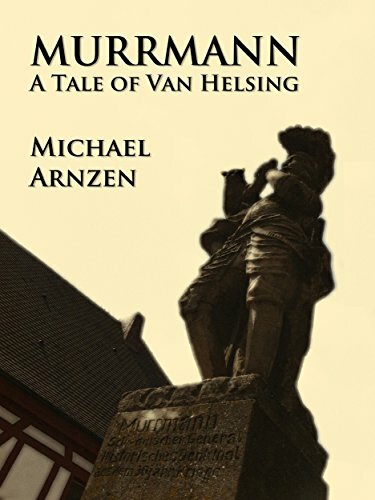 But the most recent book is a horror ebook -- Murrmann: A Tale of Van Helsing -- a novelette-sized sequel to Dracula. It follows the vampire slayer during a visit with a relative in a small German village haunted by a local legend, where he also encounters a very familiar nemesis in an unexpected way. I read a lot of science-fiction books when I was really young, mostly those that I knew from movie versions. The first adult horror novel I read was Peter Benchley's Jaws. I remember thinking the poster and book cover was amazing, and being upset that I couldn't get into the theater because the movie was Rated-R, so I just bought a copy for myself. My dad shared my enjoyment of horror, and actually took me to see the movie after he saw me reading that book… and he took me to see many horror movies with him around that time -- from The Exorcist to Andy Warhol's Dracula to Food of the Gods, because my mother was not into the genre and wouldn't go with him. Though perhaps some might think that is a bit strange or even corrupting, I actually feel lucky to have been exposed to the 70s horror film era at such a young age… and it obviously helped shape who I am today. I don't just write (and teach) horror fiction, I also teach and write film criticism! Stephen King's Misery (because of the experimental approach to the story that still manages to generate tension -- and it's also just plain funny at times). Bram Stoker's Dracula (because this is the greatest novel ever written -- the structure is ingenious, the play with point-of-view is brilliant, and the way Stoker generates emotional reactions is just great. Always a joy to read this one, and I spot new things every time). The Best of H.P. Lovecraft: Bloodcurdling Tales of Horror and the Supernatural (because the stories in it are all amazingly imagined, it takes risks few others dare, and it prompts me to keep it weird). Stephen King's first collection, Night Shift, is a master class in short horror story writing. His second collection, Skeleton Crew is equally great. King is worth digging into the past to read…he's been doing this for forty years or so! The Exorcist by William Peter Blatty still stands up, and since the movie would be familiar to most readers, I think it is illuminating to see how the source material led to the film…and how it differs, which highlights what makes a horror fiction different than a horror film. A more recent title might be Head Full of Ghosts by Paul Tremblay. It also taps into our pop culture knowledge related to horror, but has a very contemporary main character and builds up to a knock-out ending. It makes you think, and I like that most of all. I don't play favorites too much because part of what thrills me about horror is the degree of surprise that might spring out of any book like an evil Jack-in-the-Box, so reading new and unfamiliar writers adds to the potential for surprise! But Stephen King still reigns supreme, even though he is so well known that it sounds cliché to say so. He's taken every trope and not only put his own spin on it, but his voice has remained consistently good as a storyteller. His library is so big, too, that it rewards those who stick with him. His son, Joe Hill, is another person worth checking out. I normally would say The Exorcist or John Carpenter's The Thing, but I'm going to go with Psycho right now. I just watched the film again, and always am blown away by Hitchcock's infamous editing, the blocking of the shots, the masterful plotting and more. The original book, by Robert Bloch, is worth looking into as well. Anything by Thomas Ligotti. His work is so weird and the writing so poetically lyrical (and dark, dark, dark) that it would be interesting to see how filmmakers adapt it. I have one underground short movie made from his story, The Frolic, and it is amazing. I want to see more! This is a trick question. Because horror can't always "go places" on broadcast TV that it can in film/books, it's usually not that great. But I like them all anyway -- from Buffy to Twilight Zone. My all-time favorite, I suppose, is The Addams Family -- the humor just works for me, and it's just weird enough to be an outlier on the TV history dial. Nowadays, with the freedom that streaming media and cable afford, more scary stuff is happening that pushes the boundaries, like Dark Mirror and Stranger Things, but I'm most intrigued by two: Dexter, which was great because it goes over the top, isn't afraid of dark humor, and really delves into the character with depth, and The Exorcist reboot, which is experimenting with all sorts of elements in intriguing ways while rewarding viewers who are fans of the film/book. I write a little of everything. I figure I don't know what I'll be successful with if I don't try my hand at different things, and juggling different projects keeps the proverbial prime pumped. I feel there are no wasted words or efforts -- everything teaches me to be a better writer. But to answer your question: horror isn't my "genre" so much as my "worldview" so most of what I do is dark, sick or twisted -- and I always have a finger in horror's pie, in one way or another. Well, I was in college and realized that my writing classes were all about craft and never really explained how writers get into books, so I taught myself through research: I picked up titles put out by Writer's Digest and learned about the industry. But what I discovered was the small, independent press -- putting out so many cool magazines and titles I never saw in bookstores that seemed to really go places that mainstream publishers weren't -- so I started there. A lot of my early work got picked up by mags with titles like The Obligatory Sin and Doppelganger. I also found out about trade magazines, and started sending my work to biker mags, like Outlaw Biker's Tattoo Review. I was fascinated by tattoos and when one of my stories in that magazine was picked up for a Year's Best Horror Stories anthology, I knew I was on to something! I had a great concept for a book, and so I challenged myself to try to write one, and a whole novel came out of the process, featuring an insane tattoo artist turned serial killer. I had no clue how to submit a novel, so I decided to just send the whole manuscript in a box to a publisher who had the coolest book covers and totally lucked out -- they called me two months later to negotiate a contract! That book, Grave Markings, went on to win a Bram Stoker Award. This kind of process is not standard; I am very fortunate. Horror fans are the best. Very rare is the fan who is crazy like Annie Wilkes from Misery. They are genuinely good people (as are the writers in the genre), not creeps -- and they are lifelong devotees to the genre as a whole, from films to novels to poems. They're like intellectual goths, who demand realistic and deep thoughts from their texts as much as the emotional thrills. I think a lot of horror writers are fans themselves first, if not always, and so there is an instant connection with readers who are of a like mind. We're a true community, as is self-evident at any horror convention. That isn't as true for other genres, where there often can be a sort of elitism or hierarchy cutting authors off from the masses. Horror writers aren't usually creeps -- they're people who know fear and are in touch with that fragile and paranoid side we all share, so there's a lot of connection that happens there. Well, it's right there in the name: horror. These books threaten to be repulsive, disgusting and disturbing -- which can turn people off when they get plenty of those feelings already in real life and the whole world feels like a horrorshow. Horror by nature is NC17 and taboo, and sometimes -- like romance -- people don't want to be seen or associated with it. But what they forget is that horror fiction is an art that gives us a way of thinking about and emotionally managing these things, a way like none other. Death never dies. It's always experiencing a comeback somewhere, even when we don't see it coming. But not just death -- also in the presses, where many subgenres and niches are active. I think it's a mistake to think horror is booming or dying -- truth is that certain scary themes tend to trend at different times in different market segments. A savvy reader can find the horror as it moves around in the bookstore. Practice, read -- far more than you already do -- participate in genre communities and workshops and take all the steps required to learn and master your craft, be it going back to school or reading tons of how-to books. But don't imitate others, either. 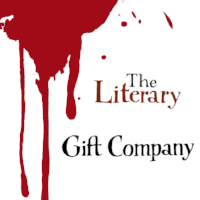 Go crazy, explore your own fears and flaunt the literary license to go over-the-top that the genre gives you. Delve into places no one wants to go, and come back to tell us what you find. Mastering the craft and knowing what you're doing will earn the reader's trust; going truly dark in your imagination will earn the reader's gasps, and spark a desire to read your next work. Yes, but there is a whole dynamic range of motives, belief systems and realities, and I do not see evil as just being the direct opposite of good. People. They are the most devious monsters in nature and can rationalize any behaviour and feel perfectly fine about it -- from stabbing someone in the back to pushing the nuclear button. I don't dress up. I don't play the "Monster Mash" at parties. And no one comes to my house for candy anymore. But that's because I celebrate Halloween all year long.